There is a commonly held view that a solenoid is either open or shut. In this sense there is very little purpose in having an intelligent controller to manage the solenoid because one simply needs a power supply of some description and a switch and that is all that is required. However, there are increasing calls for these types of application to become much more efficient and carefully managed in order to control the mechanical operation in much greater detail. In this sense it is worth considering the advantages of intelligent controllers for solenoids. 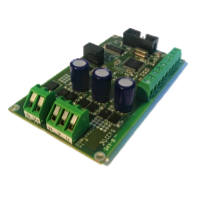 By using an intelligent controller that can directly monitor the current flow at all times it is possible to carefully adjust the power input to ensure the minimum power input is used to achieve the desired mechanical result. This can reduce energy usage by a considerable amount, especially when using non-sprung solenoids. Intelligent controllers have a range of inputs and can be programmed to directly respond to changes in a system detected either by onboard current or temperature monitoring (for example) or through external sensor inputs. Typical examples include flow rate or pressure rate monitors which can be setup to directly monitor these factors and respond accordingly. Need a system to shut down or open up if the pressure reaches a certain point? It’s simple with an intelligent controller. If using a non-sprung solenoid it is possible to incorporate four quadrant control into the system in order to enable huge amounts of control. This control can enable the solenoid to be moved to an exact location and held in order to then deliver the outcome required. Interested and would like to know more? The vast majority of our motor controllers can be adapted to meet the requirements of solenoid applications and the right choice for your application may vary significantly and require custom programming. If you are interested in finding out more about these types of application and how we can help then please contact us directly here and we will be happy to advise on the best potential options.